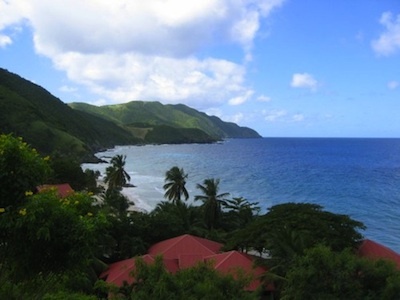 St Croix has a number of beautiful Caribbean Resort Villas to choose from. You’ll never want to leave the island! There are many advantages to staying in a villa instead of a hotel or resort room. You get to “move-in” to a fully furnished home for the length of your stay and you get the privacy and luxuries that go along with that. You’ll have your own kitchen, your own private dining and living areas, spacious accommodations, often (at least on St Croix anyway) your own private pool, and much more. Villas are a great option for when you’re traveling with a large family or group of friends. If you’re looking for a villa connected to a resort, below is a list of my family’s top picks for the best Caribbean Resort Villas in St Croix. 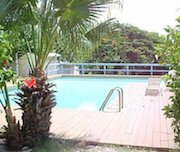 If you’re looking for a privately owned villa (which can provide even more privacy and home-like feel) then check out my personal favorite St Croix Villa Rental! My family and I love this villa because you can relax by the pool or enjoy…(drum roll)… your own private beach! My family and I love going to the beaches and restaurants at the Buccaneer every time we're in St Croix, and their villas are very nice. My cousins stay in them often! 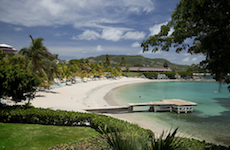 The Buccaneer is really one of the best Caribbean luxury resorts you will find. It offers everything - great beaches, fun activities, luxury rooms and villas, fitness center, health spa, golf course, tennis courts, two swimming pools, and four great restaurants! My family and I honestly go to the beach at Carambola practically every other day when we are in St Croix! The waves and swimming at the Carambola beach are awesome, there are free beach chairs and umbrellas, a swimming pool, two great restaurants, a fun bar, a fitness center and the list goes on....And the villas are right on the beach and are very spacious! Colony Cove is essentially a set of modern, beachside condominiums that are moderately priced and have great amenities. Each condominium unit contains 2 bedrooms, 2 bathrooms, a kitchen, a small washer and dryer, a living/dining area, and a balcony. 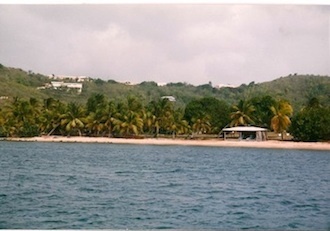 Colony Cove Resort is 5 minutes from Christiansted and it shares a beach with Club St Croix. The resort has a freshwater pool, 2 tennis courts, a daily maid service, an adjacent bar and restaurant, and an excellent watersports center.